Joomla Virtuemart Remita Payment Gateway is one of the splendor payment gateway. In this plugin, admin can set the discount or fee per transaction in fixed or percentage. Currently, Remita only support Nigerian currency Naira and virtuemart do not convert Naira so, currently only works for single currency(Naira). 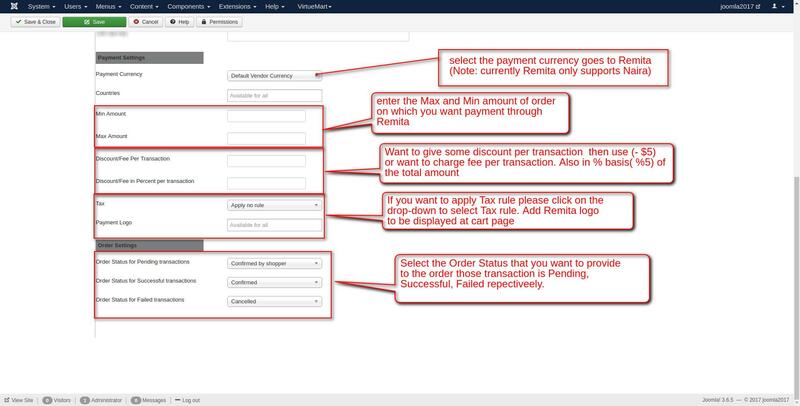 On confirm order user is redirected to Remita site where payment can be made by any mode provided by Remita. 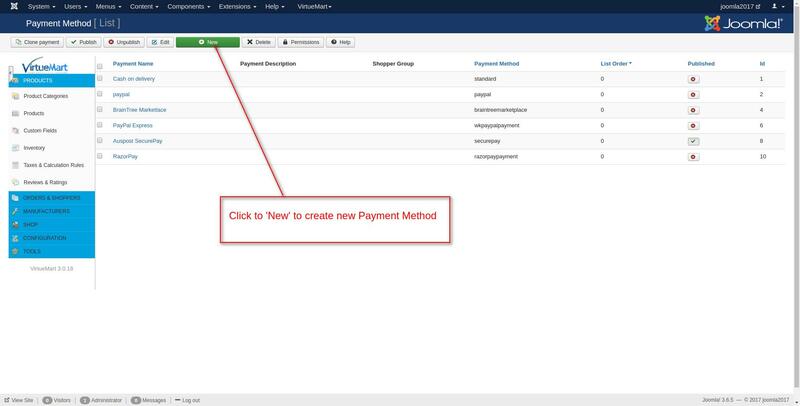 Order status is managed as per setting in plugin configuration and payment status. 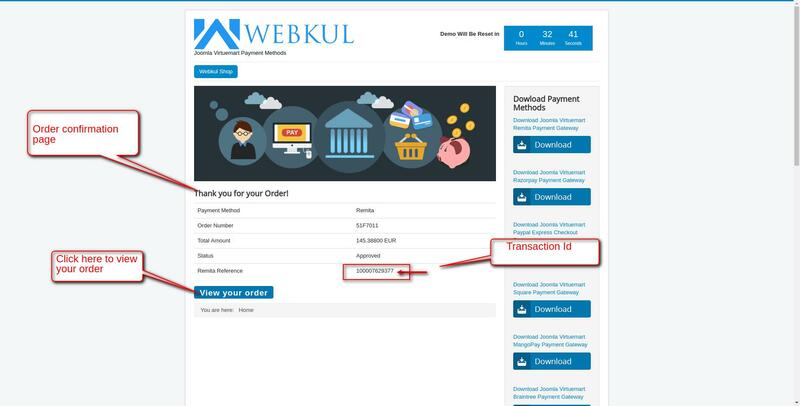 Admin can set Discount/Fees for using this payment method. 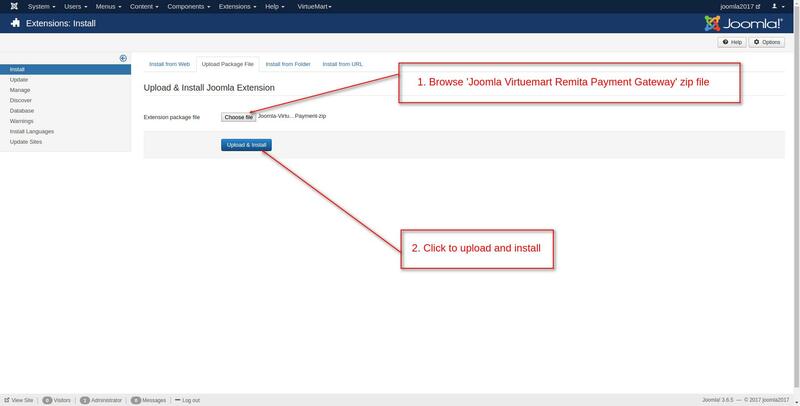 Browse the Joomla Virtuemart Remita Payment Gateway zip file then upload and install. 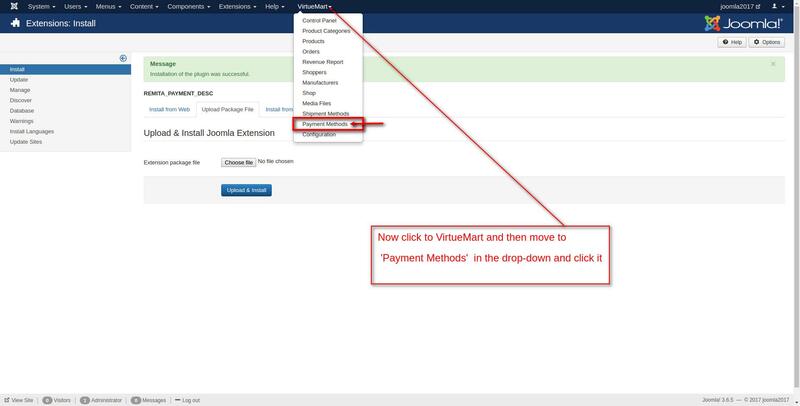 Click on Vituemart and then move to “Payment Methods” in the drop-down. Please Note: Currently Remita only support Nigerian currency Naira and virtuemart do not convert Naira so, currently only works for single currency(Naira). 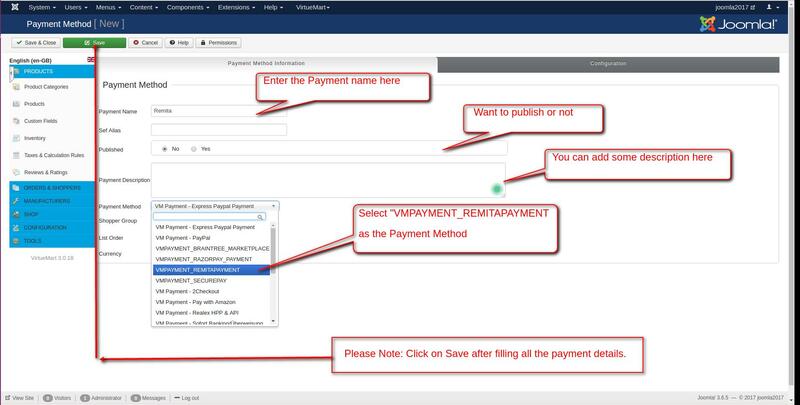 After successful payment through Remita you will get a a payment confirmation along with transaction id.